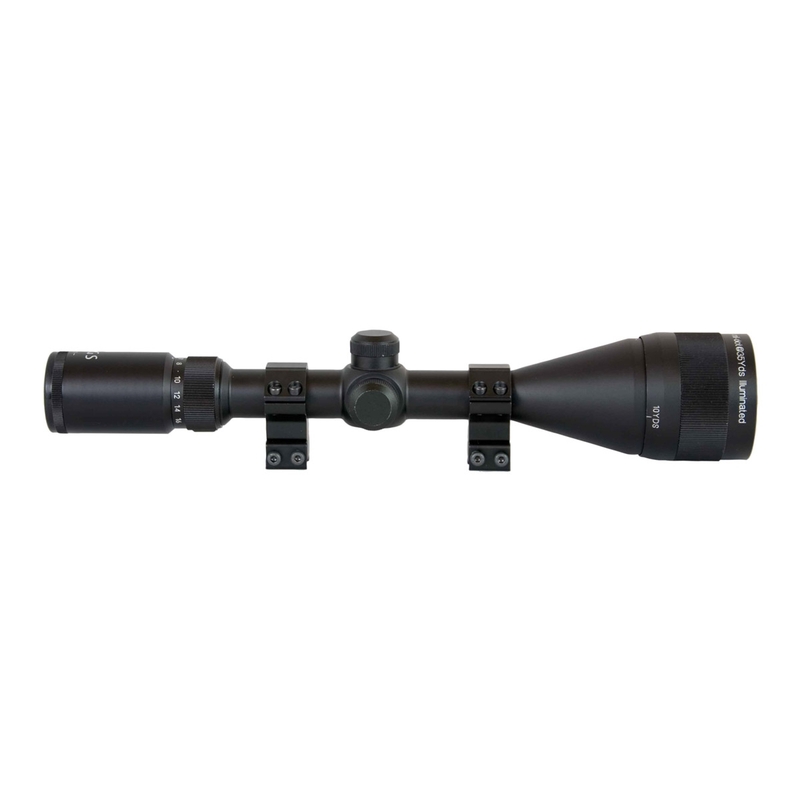 The AGS Cobalt Redi-Mount 4-16x50 AO Illuminated Rifle Scope is designed for Air Rifle use with fully adjustable parallax adjustment - Supplied with Double Screw 3/8" Match Rings. This scope is just great have got another one on my other within very easy to use and zero very happy with it.well recommend. accquired this scope on a s/h gun i bought, have now transferred it to my bsa lightning grt se xl, absolutely great for clarity and ease of use and holds zero even on a breakbarrel grt (its fixed on a 1 piece mount) only just enough room for a break barrel cos its 15 ins long but it is ok on this gun, love it and would buy another of same. AGS scope is great very good and super clear sight well recommended. Bought this scope to go on a Walther Terrus for HFT, it's actually a half mil-dot reticle which was a pleasant surprise when it arrived as there's no mention of this in the description. 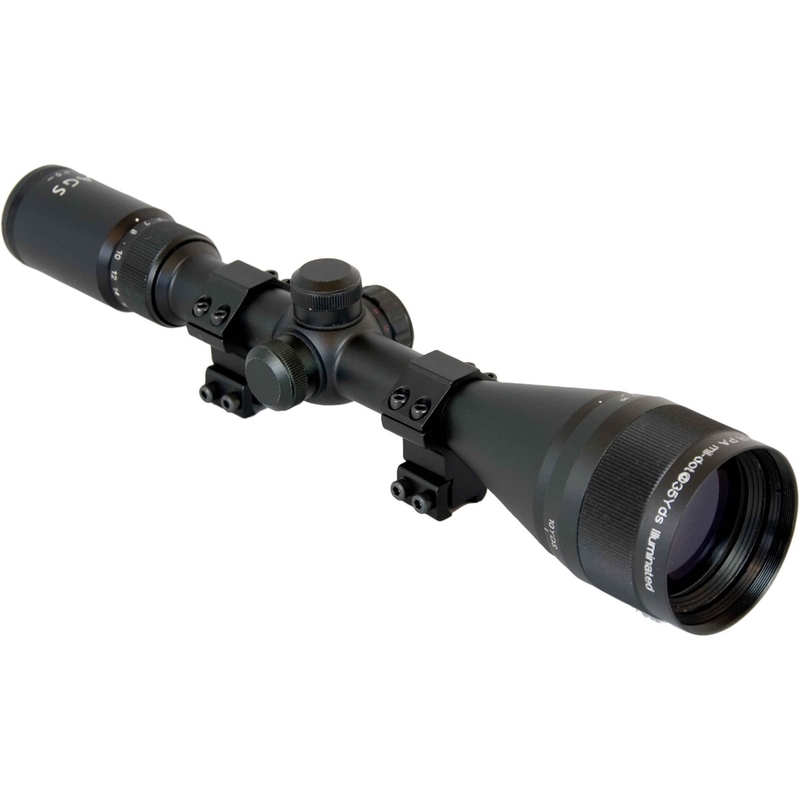 Would recommend as a good scope for the price. An excellent scope for the money, good enough for my needs.&nbsp;My only criticism is the poor quality threads on the battery compartment and turrets covers. Awesome scope, fitted to my 850 Airmagnum and is a real winner. Scope is easy to use and I love using the 1.5 mil-dot reticle for adjusting at different ranges. Lets me put pellet on pellet time and again....It is quite big so had to remove my iron sites... also looks REALLY heavy-duty with the supplied sun shade on! This is an excellent scope at a fantastic price. I have three air rifles and I've fitted this scope to all three.&nbsp;All the features you really need. Highly recommended. Used on my BSA R10 Mk 2 .22 and its the best scope I've had. Excellent build quality, rugged, easily adjustable and a joy to use. Used on my BSA R10 Mk 2, .177 and .22 with excellent visuals and user friendly adjustments in most lighting conditions, how ever i need an extra scope for two guns, and new front lens cover as have broken existing cover.